Headlines around the world continue to broadcast the dire state of the U.S. economy, along with the associated business closings and job losses. Manufacturing is one such industry that has been hit hard across the country, with seemingly new announcements every day about another company closing its doors for good. While the big picture seems challenging at best, plenty of manufacturers large and small are reporting success in a variety of different businesses. One needs to look no further than New England to discover a thriving local manufacturing scene among the professional audio industry, a niche business that has shown vitality in these challenging economic times thanks to creative, high-quality products and engineering. 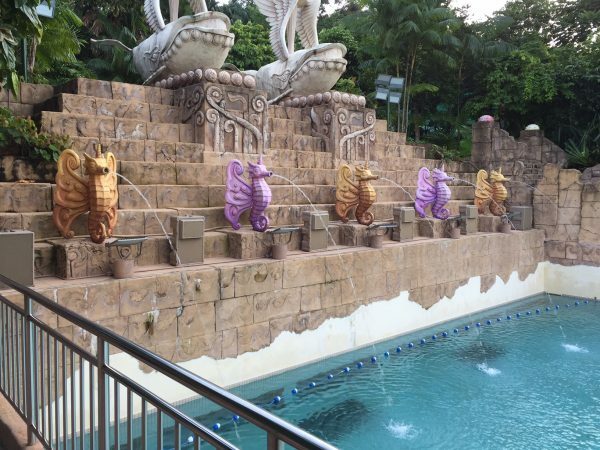 Pro audio manufacturers are moving loudspeakers, signal processing equipment and other gear to a variety of customers; cruise ships, theme parks, and stadiums and arenas are among the more active segments. Sales are steady-to-brisk both in the U.S. and internationally, further helping the bottom line for many companies. 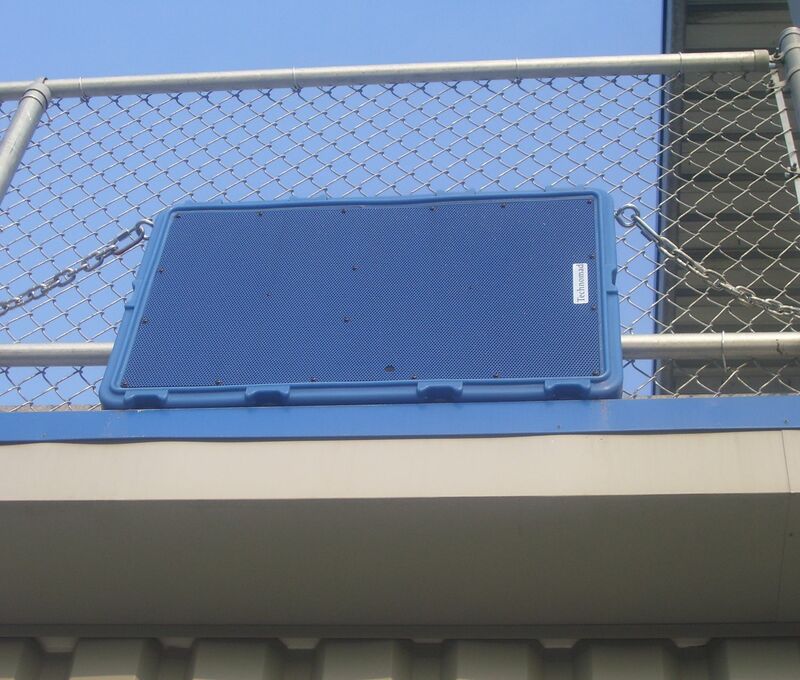 Middle Tennessee University special ordered two blue Technomad Berlin loudspeakers to blend in with stadium and team colors. The company offers 14 custom colors that do not fade in sunlight, one of many Technomad design features that keep customers coming back. 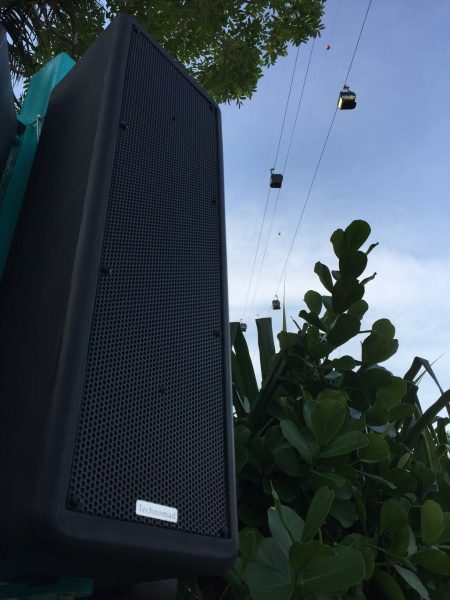 Technomad, a leading manufacturer of weatherproof outdoor loudspeakers and Turnkey PA systems since 1995, is one of these companies contributing to the success of the pro audio industry as well as the economy. The company recently celebrated its 13th anniversary of boutique manufacturing in the U.S.A., and has shipped more than 23,700loudspeakers from its manufacturing facility in South Deerfield, Massachusetts. And in a market where many firms are reducing product innovations and cutting budgets for research and development, Technomad recently introduced two game-changing new products: Schedulon, a new automatic mp3 player and recording system for pro audio and commercial security applications; and PowerChiton, a series of compact weatherproof outdoor amplifier modules that allows system designers to place amplifiers closer to the loudspeaker in challenging indoor/outdoor installations. The manufacturing side of the business employs small teams to work on the same hand-built loudspeaker from start to finish, with multiple quality checks along the way. This process creates a highly consistent production environment that ultimately reflects the cost and quality of the loudspeakers. Performance data for each loudspeaker is recorded, which consultants and design engineers often use to plan installation points and audio directivity throughout a new venue. This includes the new GLL (Generic Loudspeaker Library) format, of which Technomad is an early adopter. GLL format data gives design engineers, consultants and contractors more options in positioning and simulating loudspeakers in large sports, entertainment and other venues that require array or clustered installations. 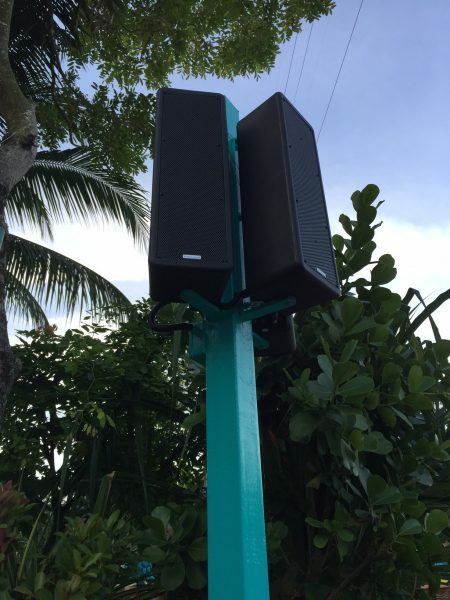 A close-up of the latest loudspeaker product introduction from Technomad: The new Berlin HiQ models, offering a narrower dispersion pattern in 90x60 and 60x60 versions. The company also employs a green approach to its manufacturing approach, using 100-percent recycled plastic for its black loudspeakers and eliminating lead from the soldering process to comply with strict RoHS (Restriction of Hazardous Substances) regulations in Europe. RoHS compliance has raised Technomad’s profile in Europe and elsewhere overseas, and the company has begun to stock its products overseas to enable faster response times to European orders, and more cost- and time-efficient deliveries. Technomad’s use of recycled plastic and localized manufacturing operation has led to an increase in LEED-certified projects in recent months. Functional Devices, a MUZAK affiliate in upstate New York, is one example; the company recently ordered 42 Technomad Vernal loudspeakers for a LEED-certified installation. LEED, which stands for Leadership in Energy and Environmental Design, is a green building rating system developed by the U.S. Green Building Council that provides a suite of standards for environmentally sustainable construction. 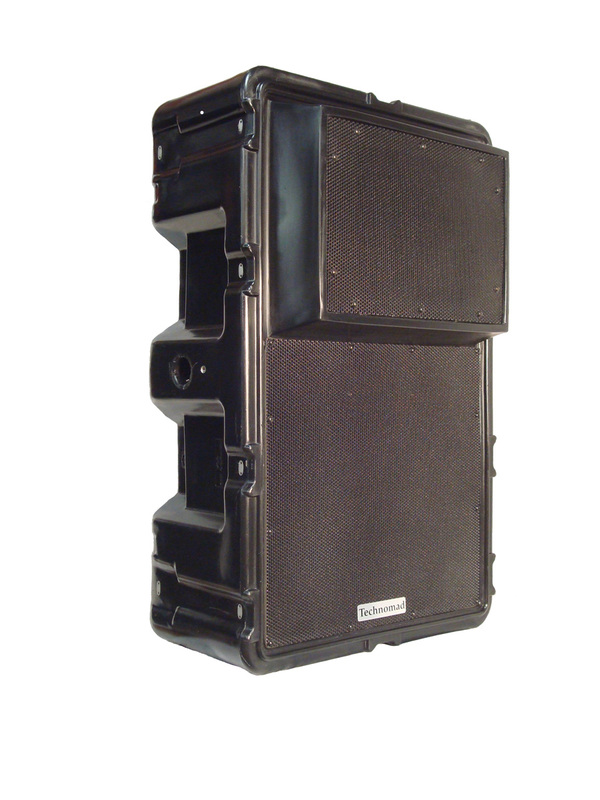 Technomad was the first professional loudspeaker manufacturer to introduce Mil-Spec weatherproof loudspeaker systems with exceptional voice intelligibility and superior musical output for the professional audio industry. 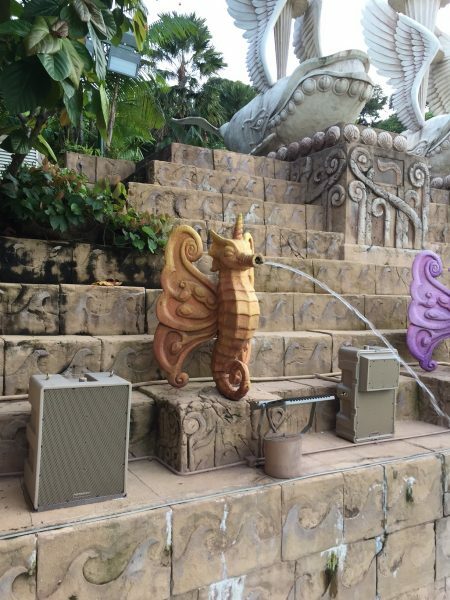 All Technomad loudspeakers also have an IP56 rating from the International Electrotechnical Commission (IEC) for maximum protection against hazardous materials, shock, and dirt and water ingression — meaning it can survive outdoor elements in the harshest of conditions. Solid scheduling-enabled audio player and recorder that fits the simplicity bill. 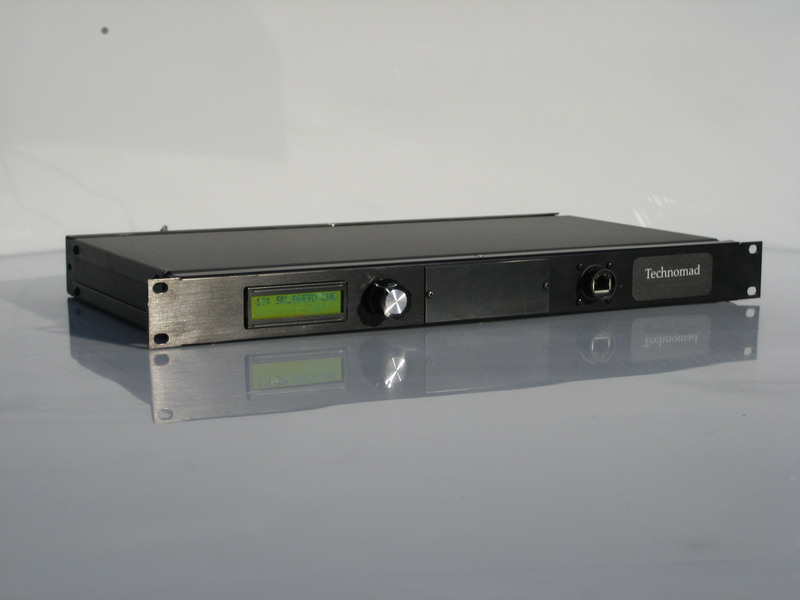 Technomad, manufacturer of military-oriented audio equipment (particularly PA systems) has introduced its Schedulon scheduling-enabled audio player/recorder. This device is nearly identical to Technomad’s SuperConductor, which is the purely military version of the device. As a manufacturer of military-grade technology, Technomad is known to make its products figuratively bulletproof, and the Schedulon was developed with this notion in mind. It records to and plays back from RAM, so there are no moving hard-disk parts to cause problems. It’s distinguished from similar computer-based solutions by the fact that it is a standalone device, immune to viruses or operating system crashes or hang-ups. I’ve always been a great believer in over-engineering, which helps avoid embarrassment and, more importantly, the potential loss of clients that can be caused by equipment failures. The Schedulon very much appeals to my sensibilities in this regard. The military recognizes that much of its equipment is destined to be operated by 18-year-olds who have little experience with technology, so simplicity is the key word. The Schedulon’s 1RU front and rear panels very clearly fit that bill. There are just five features on the front panel: From left to right, there’s an LCD display, a data-input knob, a removable thumb-drive access panel, an RJ-45 Ethernet port, and a large bat-handle power switch. The LCD displays 32 characters on two lines, and it is very reminiscent of the old-school Yamaha processors and synthesizers. The data-entry knob is of the large variety colloquially described as “chicken-head”; it spins continuously for data input and can also be depressed as a pushbutton switch. It doesn’t get much simpler than a single knob and a basic LCD display for control and feedback. The rear panel is also simple. From left to right, you’ll find a fuse holder, the unit’s integrated AC power cord, a Neutrik 1/4in. TRS output jack, a second RJ-45 Ethernet port, and two stereo RCA pairs representing audio in and rec in. Again, the Schedulon sports a very straightforward, no-nonsense design, which is right in line with the requirements you’d expect from the military. The Schedulon is essentially designed to do one thing: automatically play audio at prescheduled times or immediately under human control if desired. There are obviously numerous applications for such a device. In an educational setting, specifically a school, the Schedulon can be used to play tones or recorded speech intended to alert students that class begins in 10 minutes, again 5 minutes later, and then a final alert 1 minute prior to the start of each class hour. The minimum time resolution of the scheduling is 1 minute, so countdowns that update every minute are possible. Additionally, emergency messages can be delivered, alerting students of a fire or other dangers. For numerous applications, the ability to play hourly chimes to indicate the time is nice, particularly since a specific number of chime strokes can be played or even a pleasant voice can announce that it’s 10 o’clock, for example. Up to 100 scheduled playback events can be programmed into the system. In military settings, the device can be used to play Reveille in the morning, Taps at dusk, and other military-oriented sounds. As a matter of fact, the device ships from Technomad with quite a number of military sounds, including alarm sirens and bugle calls. Among other applications, the Schedulon would also be useful in subways, airports, hospitals, or other public buildings, even to provide BGM. For that matter, this system would be useful for any application in which you would otherwise use a flash-drive-based recording/playback system. In addition to scheduled automatic playback, immediate manual playback is easily accomplished by the Schedulon, which would be useful in the case of an emergency or other situation that necessitates immediate, spontaneous playback of certain messages or alerts. The unit allows a maximum of 99 slots for audio. The maximum length of the audio is determined by the size of the removable flash thumb drive. The unit ships from the factory with a 1GB drive, but larger drives can be installed. The unit compresses audio into .mp3 files, with resolution ranging from 32kbps to 320kbps. Audio is recorded by the unit at 192kbps, which is difficult to distinguish from CD quality by most listeners without the benefit of an A-B comparison. At the nominally standard rate of 128kbps, hundreds of songs could be stored on a system with a 1GB thumb drive. Technomad says that a future version of the system will support the recording and playback of uncompressed 16-bit/44.1kHz WAV audio. The unit’s thumb drive is upgraded very easily by removing the front access panel, pulling the original drive out, and replacing it with the new one. Also, all system parameters, scheduling, and audio are stored on the thumb drive, so it can be transferred into another Schedulon unit — in effect cloning the original. In line with the military aversion to computer viruses, complete control of all system parameters can be accomplished from the front panel, but computer control via Ethernet is indeed an option; this is the only way that externally recorded .mp3 files can be introduced to the Schedulon. It’s possible that the system would be loaded with all desired audio files and then installed with the intention of only front-panel control. On the other hand, since the system can be controlled remotely via IP, it is beneficial to maintain a network connection — particularly if you’re practicing good network security. Password protection prevents a malicious user from making changes, both from the front panel and via the network. Another major benefit to maintaining a network connection to the unit is that it can connect to a time server, keeping its internal clock precisely correct at all times. On a related note, the Schedulon has an optional backup battery available, which is again in line with the military notion of ongoing technology performance regardless of external circumstances. I discovered this battery feature when I jokingly flipped on the power switch before the unit was plugged in. Imagine my surprise when it fired up. Among other advantages over similar audio-streaming-over-IP solutions is a network interruption that will not halt playback of critical audio from the Schedulon, since all the audio is stored internally. Additionally, IP bandwidth is not expended by audio streaming. I was prepared to announce that my only criticism of the unit was the somewhat unorthodox 1/4in. TRS audio output. I would normally expect Euro-style or barrier strips or a stereo pair of 1/4in. TRS jacks. 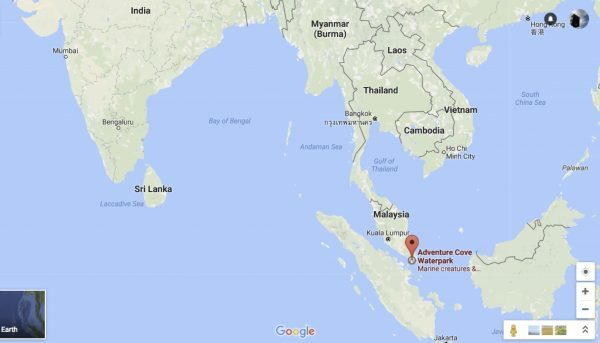 As it transpires, however, I was shipped a beta unit. The production version will actually have stereo RCA pairs for input and output, which is a little more orthodox. In spite of these minor inconveniences, this unit is very solid and would be a great choice for any application in which good-quality scheduled audio playback is necessary. I’d recommend taking a look at it. John McJunkin is the principal of Avalon Podcasting in Chandler, Ariz. He has consulted in the development of studios and installations, and he provides high-quality podcast-production services. Pros: Very tough and bulletproof. Cons: Network implementation requires pretty solid IT skills. Applications: Military, educational, and public-building scheduled announcements. Audio playback: MP3-format audio, 32kbps to 320kbps, stereo or mono, fixed or variable bit rate. Audio recording: MP3-format audio, 192kbps, fixed bit rate, stereo. This review initially appeared in the December 2008 issue of Sound & Video Contractor.